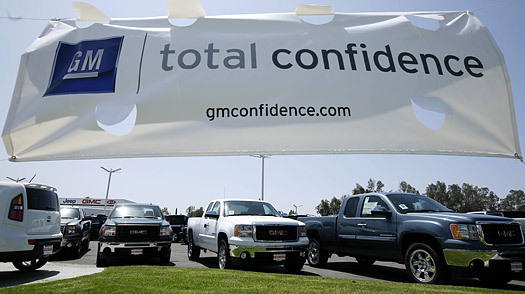 Chrysler and GM will force 2,000 car dealerships to close. This event has elicited a great many opinions from industry experts. The consensus is that the most damage to the car companies will come from the anxiety facing potential customers who may buy automobiles at these dealers and expect to have them serviced there. The car buyers will not want to drive long distances in order to find a dealer who sells the brand that they want. They will buy a Toyota or some other brand because they know that continued service is virtually assured. They may not feel the same way about GM and Chrysler. There is a much more acute problem which is that many of the dealers that are going to be closed will go bankrupt. Estimates vary, but these dealerships probably have about 80,000 vehicles in inventory. The franchises will rush to sell them to get cash to handle obligations. Dealers that go into Chapter 11 will probably have their stocks of vehicles auctioned off by the order of a court. If 80,000 very low-priced new cars are added to the most depressed market in decades, it will create a nearly perfect way to destroy sales for The Big Three just as new models for 2010 are being introduced. It is hard enough to attract new buyers to the car showrooms without having an auctioneer from Sotheby’s down the block taking rapid fire bids on Jeeps and Pontiacs. This will just increases the panic that car buyers feel about the reliability of their local dealers. In order to sell newer models, dealers will have to offer deep discounts and incentives to potential buyers. This means that the car companies and the dealers that are allowed to remain open will have to make substantial investments in marketing to get buyers looking for close-out sales to look at their inventories at all. The car industry will hit a post-bankruptcy tipping point around Labor Day. Chrysler will be several months into its Chapter 11, and, unless there is a miracle like one seen at Lourdes, GM will be in court within two or three weeks. It will appear to the public that the car industry is burning to the ground. Desperate dealers offering prices that defy logic will only heighten the sense that the American car business is just hanging on to the ledge. The government and the two big U.S. car companies faced a balancing act between cutting the size and complexity of their distribution networks quickly or doing it in a more orderly fashion. Customers might have been encouraged to stay if the manufacturers offered special financing on cars owned by shuttered dealers. It would have been a good way to pick up or save a new car buyer. It would have created some goodwill. GM and Chrysler could also have introduced customers to dealers that are staying open in their part of the country. They could have offered a year’s free maintenance to build a bond between a dealer that is not just around the corner and a customer that could buy a car from a manufacturer with a location close by. GM and Chrysler did not make a single intelligent move as they told dealers that they would be closed. Customers and potential customers got to learn about what happened to the local GM or Chrysler franchise by reading it in the paper. The two manufacturers may have forgotten that many of the owners of dealerships are community business leaders in their hometowns. They may be a large part of the local tax base. They may go to church with the next twenty people who will buy cars in the town where the dealer is located. The car industry, and more particularly the American car industry, has always favored blunt force in building and marketing cars. Make V8-powered cars that get poor mileage and sell them to people who don’t need heavy four-wheel drive cars. Make claims that no one builds a better car even if all of the industry research says otherwise. Market cars by having women in bikinis sitting on the hoods. Toyota never had Miss September sitting in one of its cars, at least not that the public ever knew. A surgical approach to the dealer closings probably would have worked. It might have started with a letter from the head of the car company to the local mayor. It might have included a letter to all of the people who bought a car from the dealer being closed saying that they would get a year of free oil changes at the dealer staying open in the next town. There might even have been an apology for doing something which, under normal circumstances would never have been done. GM and Chrysler will face a bloody competition with many of their own dealers this summer. Both will try to sell cars in the midst of an awful market. The closing dealers do not have much to lose by dumping their inventories and shutting their doors as fast as they can to save operating costs. The 2010 models may be lost in the shuffle of ridiculous deals to clear out 2009 editions. The dealers being closed may be going away, but in the process they will inflict real pain on the companies that shut them down. How Good Are GM and Chrysler Warranties?